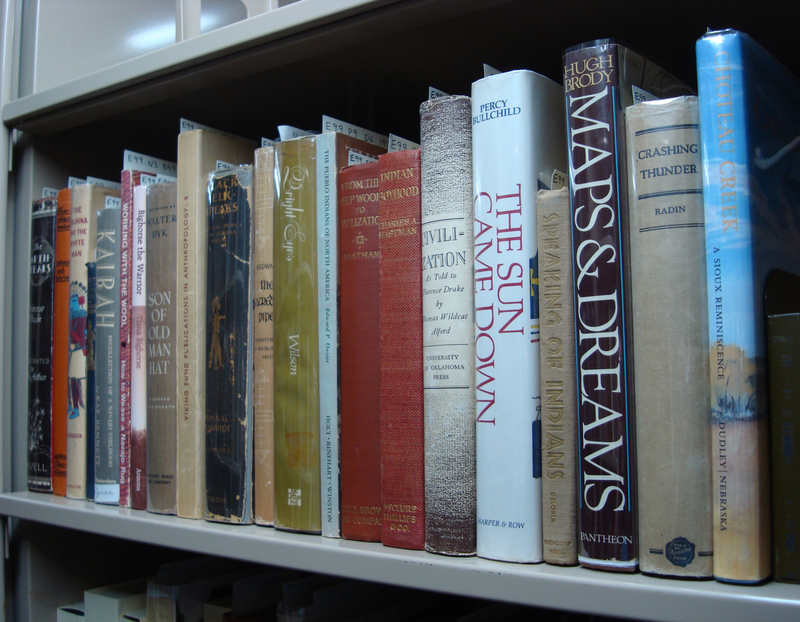 As of today, 335 titles of the approximately 1,500 books in the Kim-Wait/Eisenberg Native American Literature Collection have been fully cataloged. 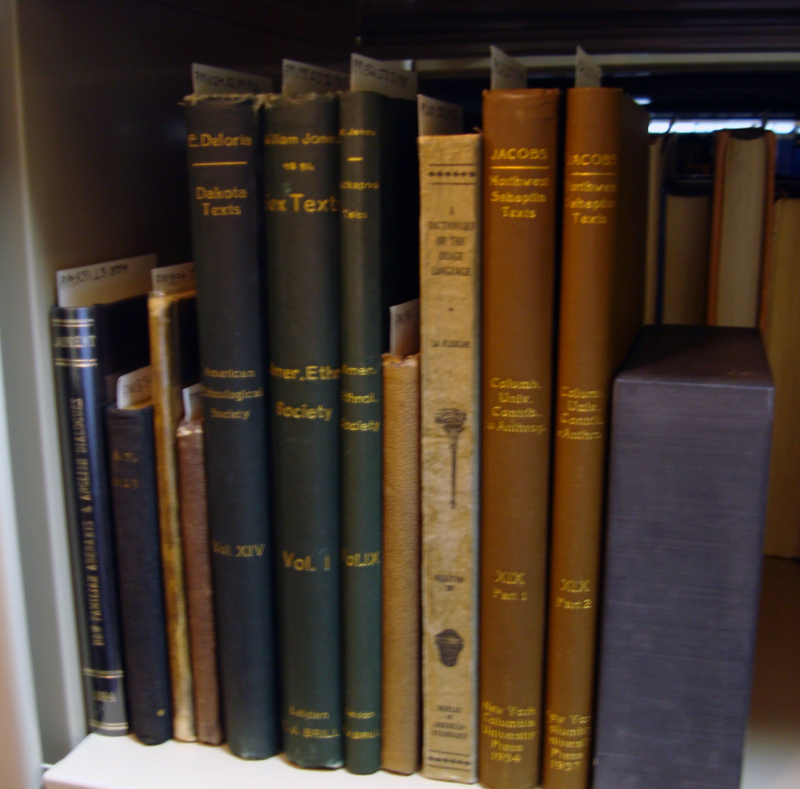 I have enjoyed getting to know the collection by placing the cataloged items on the shelves in LC call number order. We are integrating these books into our general special collections shelving, rather than maintaining them as a physically separate collection, so it has been interesting seeing where they end up and what books are next to them on the shelves. Many of the books are ending up in the Library of Congress Call number range E51 through E99, as shown in the picture above. 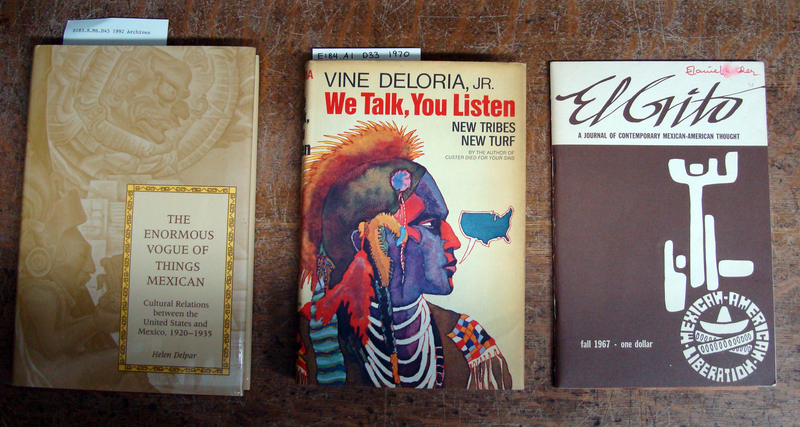 We are doing a lot of shifting to make room for these books in that range. 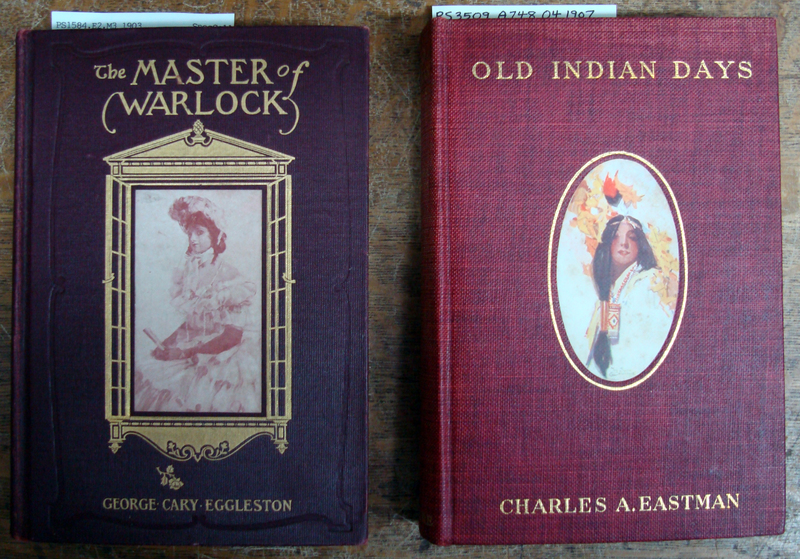 Amherst College already holds a substantial angling collection, which includes some general works on camping out, including the two shown here on either side of Eastman’s book. 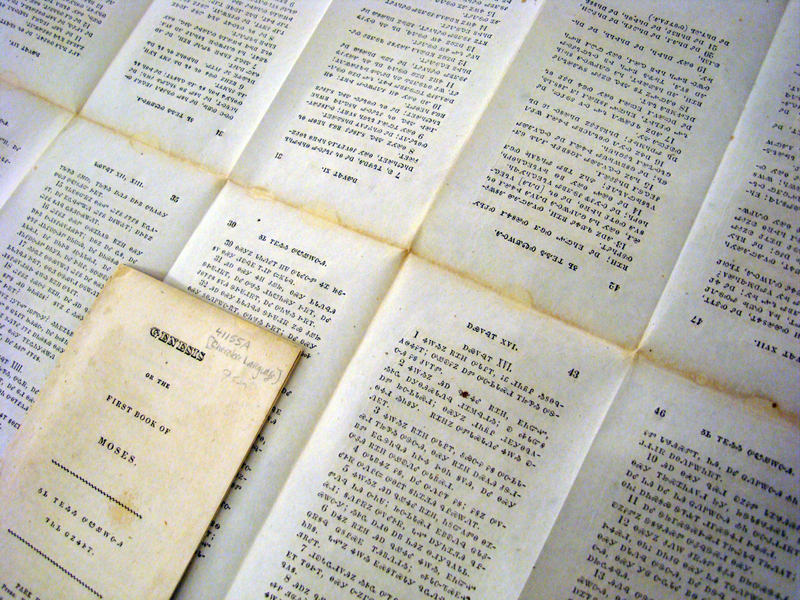 It might not be immediately apparent from this photo, but on both covers, the central illustration was printed separately and pasted onto the cloth cover. 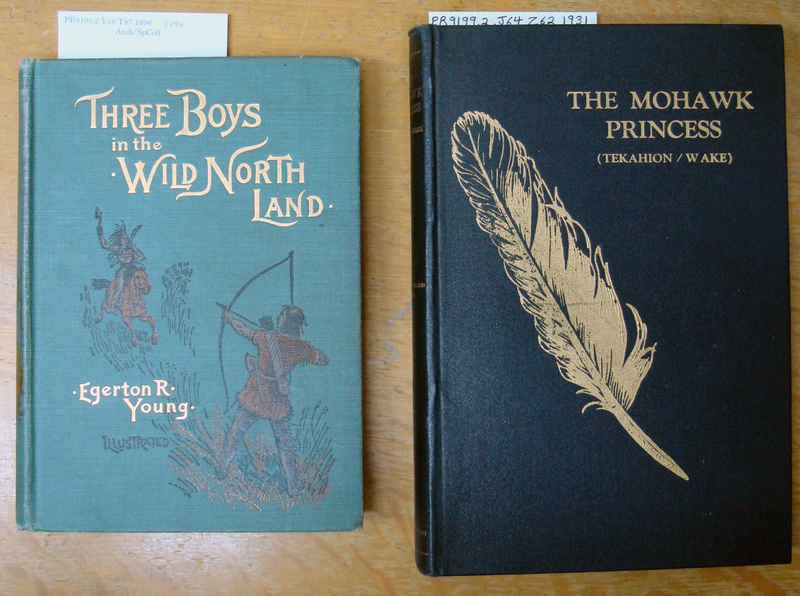 Annie Foster’s The Mohawk Princess (1931) is part of the Kim-Wait/Eisenberg collection; Three Boys in the Wild North Land (1896) is not. One of the more scarce items in this range is the copy of New familiar Abenakis and English Dialogues by Joseph Laurent published in 1884 (PM 551 .L3 1884). The PM range is for works specifically about Aboriginal languages, so an item like Genesis, or, The first book of Moses translated into Cherokee is classed into the BS range, which is the Library of Congress class for “The Bible”. The special bonus with this copy of Genesis in Cherokee — which we purchased for the collection long before we acquired the Kim-Wait/Eisenberg collection — is that it is completely uncut. Shown here is one signature of the book resting on top of one of the other signatures completely unfolded. It’s a great tool for teaching book history. Every time a truck of freshly cataloged Kim-Wait/Eisenberg books comes back from cataloging, I grab my digital camera and head for the stacks. I’m sure there will be many more blog posts like this one in the weeks ahead. 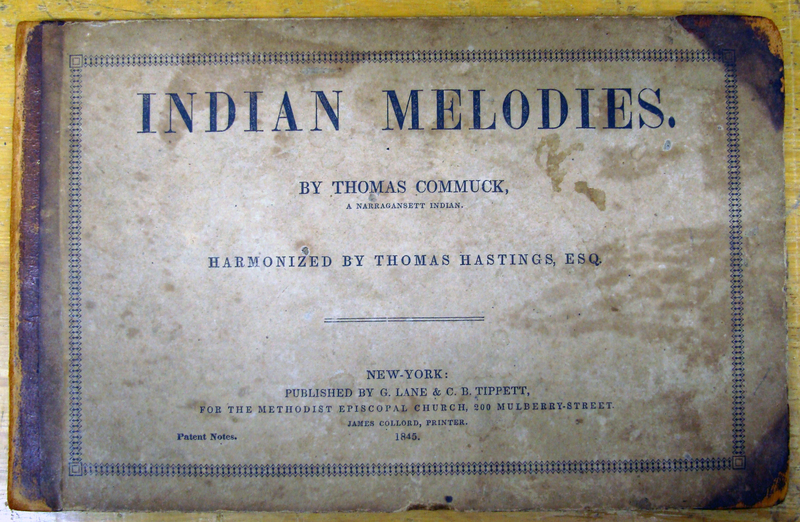 Seeing this copy of Indian Melodies (1845) made me glad we still have a keyboard with headphones set up in our reading room. 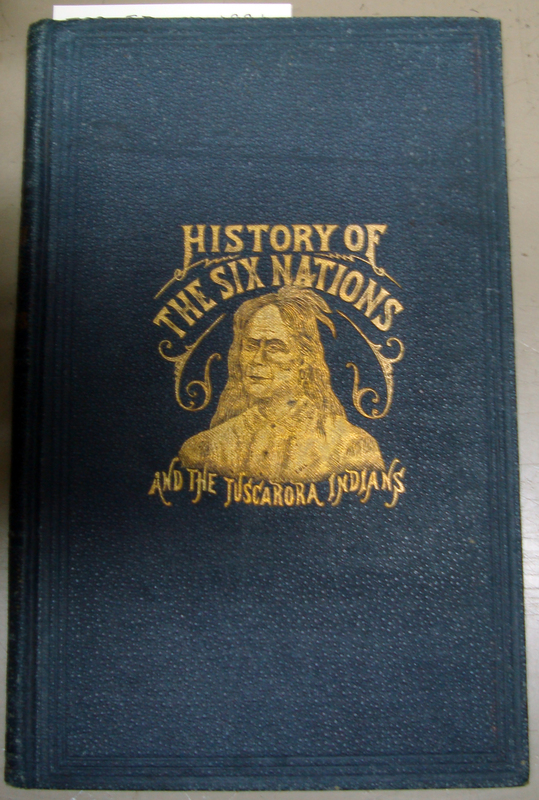 This copy of Legends, Traditions and Laws, of the Iroquois, or Six Nations, and History of the Tuscarora Indians (1881) caught my eye with it’s gilt cover illustration. This book landed on the shelf in the middle of the E99 range.